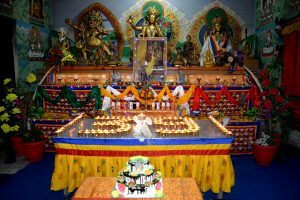 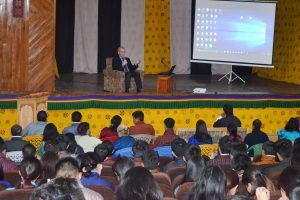 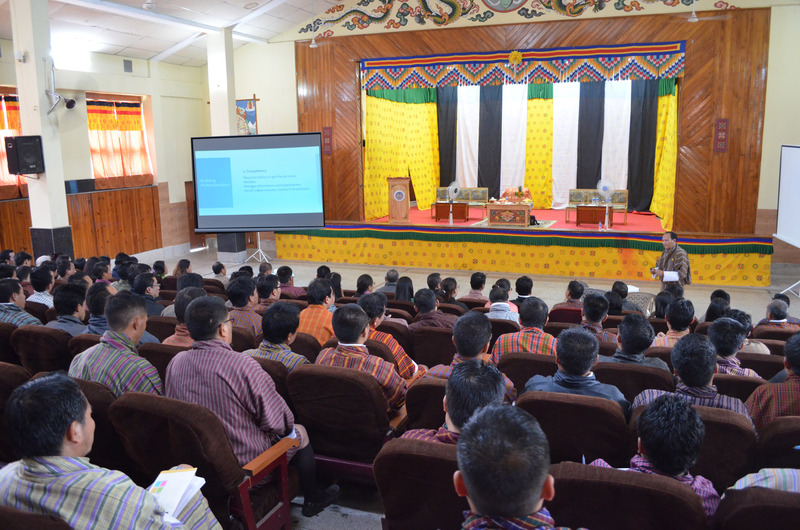 The College Management, faculty and students are pleased to have Zimpon Wongm, Dasho Chewang Rinzin, Director of Royal Institute of Governance and Strategic Studies (RIGSS) on 3rd April 2019. 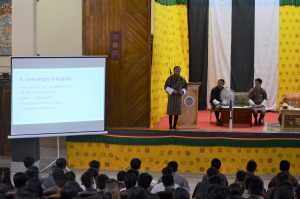 Dasho gave a talk to the faculty and students as part of the Value Education Programme in his capacity as a local expert to emphasize our roles as future teachers (students) and teacher educators (faculty). 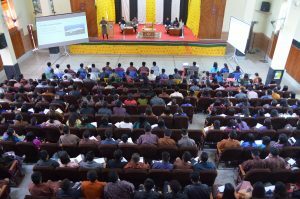 The talk session with the faculty in the afternoon highlighted the importance of professionalism and leadership.